We had our first (and most likely only) ice day of 2014 on Friday. Since we live in the burbs getting to work requires freeway driving, and every major freeway had bridge, overpass and street closures. 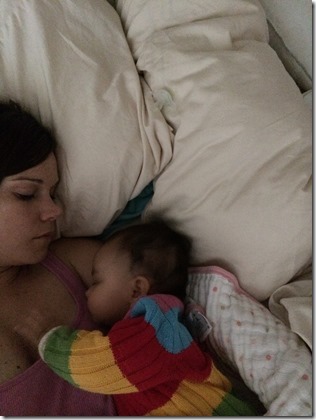 Fine by me…made it perfect to snuggle Logan! 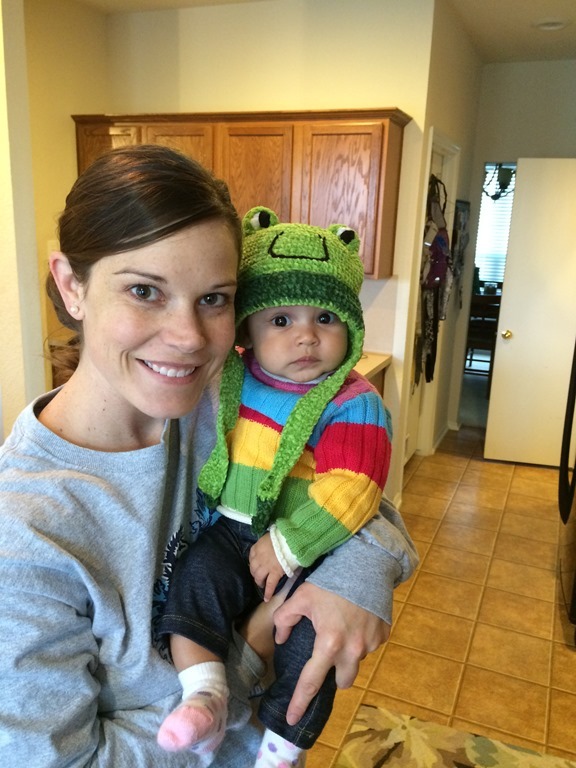 We when finally got out of bed we had to keep Logan warm and what better than her froggy hat! I wish it was colder here more often because I think she is absolutely adorable in sweaters. There is another Arctic Blast heading this way Tuesday…the Milkshake household has our fingers crossed we get another ice day in 2014! 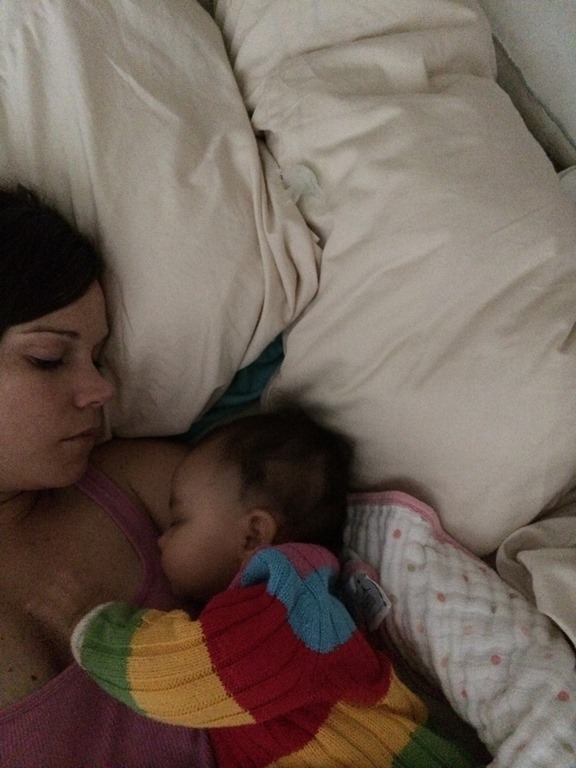 Yay for baby snuggles…and a super cute sweater. Ummm..so I thought this was our sweater, but I think I found ours..so we have the same one?